Windows 10 version 1809 issues are fixed – update available | just another windows noob ? Microsoft also blogged about it here. Addresses an issue where an incorrect timing calculation may prematurely delete user profiles on devices subject to the “Delete user profiles older than a specified number of day” group policy. If you are using Windows Update, the latest SSU (KB4465477) will be offered to you automatically. 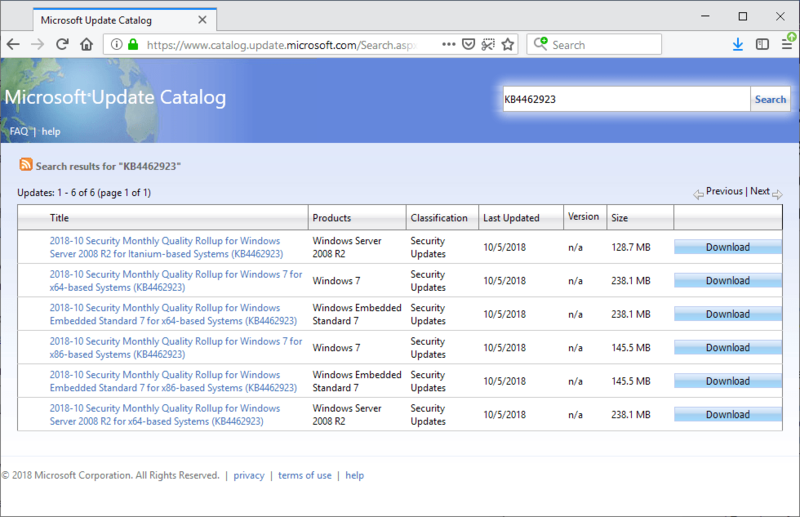 To get the stand-alone package for the latest SSU, go to the Microsoft Update Catalog. For a list of the files that are provided in this update, download the file information for cumulative update 4464330. This entry was posted in 1809. Bookmark the permalink.